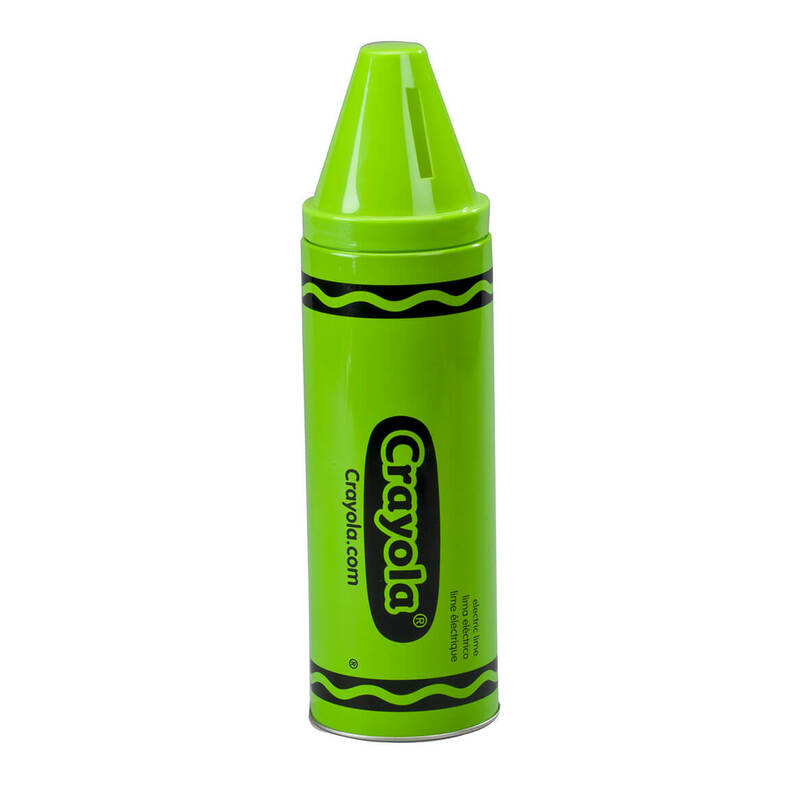 Designed like a giant crayon, this Crayola® crayon metal bank makes saving cash fun for kids! Adding a splash of bright color to any child’s room, the freestanding kid’s bank features a durable metal base with plastic cover shaped like a jumbo crayon tip. The lid removes for withdrawals, and its generous deposit slot accommodates allowance coins, Tooth Fairy bills, lucky pennies … and the occasional IOU from Mom or Dad. A brilliant way to encourage little ones to start saving, our Crayola® crayon bank comes in 3 dazzling colors. Specify color: blue, green or pink. Crayon bank measures 12″ high x 3 1/4″ dia. Designed for the littlest rockers, this heirloom quality child’s rocking chair is the sweetest seat in the house! 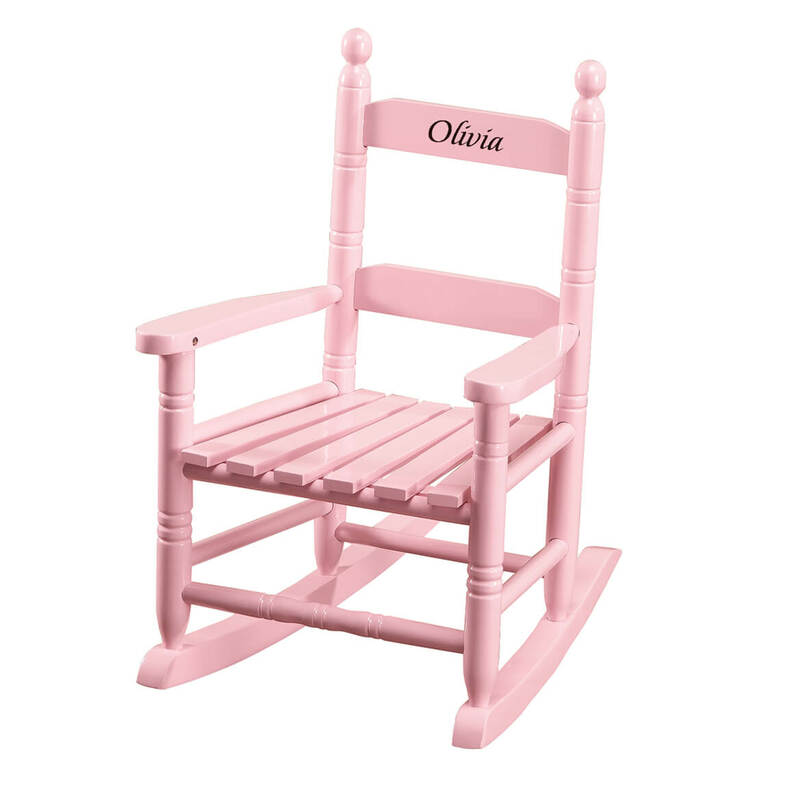 Personalized child’s pink rocker is crafted of sturdy, solid hardwood. Holds up to 70 lbs. Specify name; limit 1 line, 12 letters/spaces. Specify personalization color; blue, pink, red or black. 22 1/2″H overall; seat is approx. 9″ from floor and measures 14 1/2″ wide x 11 1/2″ deep. Easy assembly; instructions and hardware included with personalized child’s rocking chair. 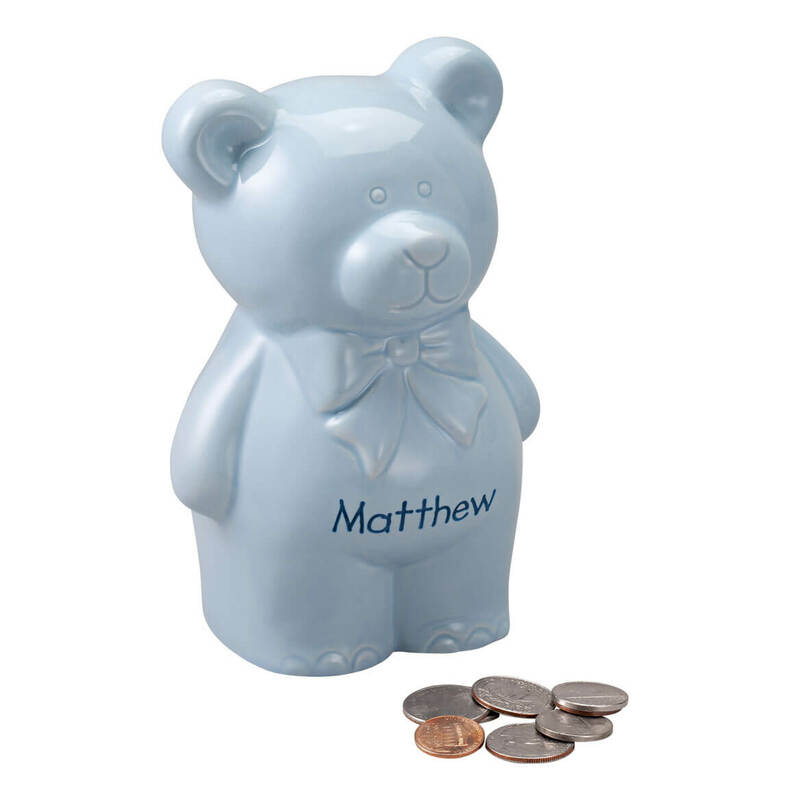 Shining in pink or blue ceramic, our personalized teddy bear bank is a keepsake treasure when personalized. Featuring a coin slot for deposits and rubber stopper at the bottom for withdrawals, this coin bank is destined for years of allowance savings, lucky pennies and Tooth Fairy rewards. We’ll personalize for one young saver—and you’ll cash in on a thoughtful gift! Specify color: blue or pink Specify name; limit 1 line, 10 letters/spaces. Ceramic bank measures 4 1/2″ wide x 6 3/4″ high. Now your favorite mermaid and her favorite dolly can match—thanks to the Personalized Blankie Tails™ 18″ Doll Pink Mermaid Tail designed to fit American Girl Dolls. Like all Blankie Tails™ custom blankets, the doll-size version is made from premium-grade, double-sided minky fabric with sewn-in tail to make her dolly look like a matching goddess of the sea. Fun for snuggling and playing at home or on the go, it’s great for story time, sleepovers, movie nights, birthday parties and more. 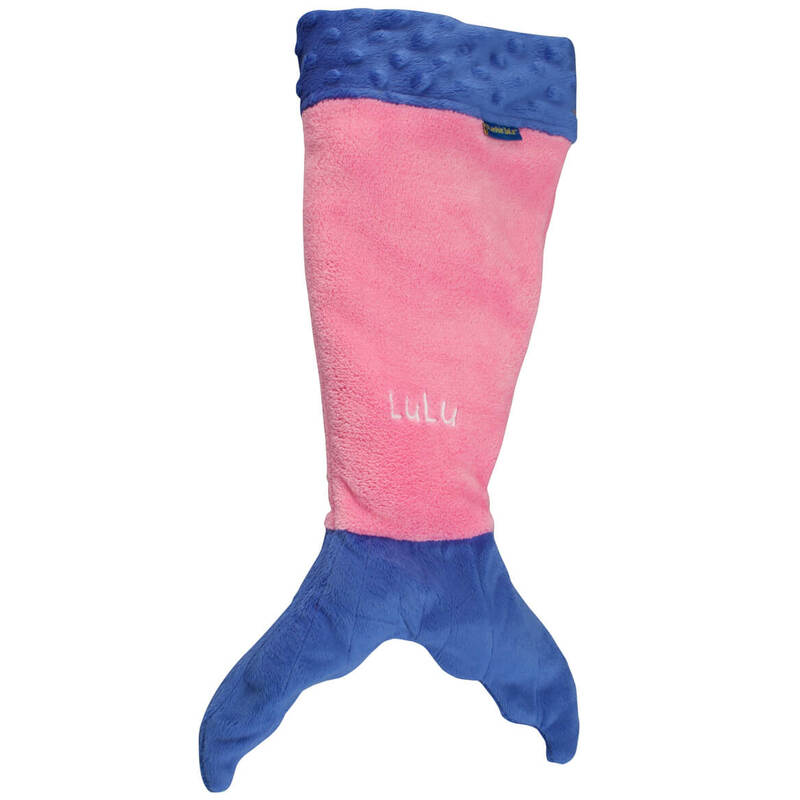 We’ll personalize this mermaid tail blanket with dolly’s name (or your little girl’s name), creating a special gift. Specify name; limit 1 line, 12 letters/spaces. 100% polyester; machine wash. One size fits most 18″ dolls; measures 71/2″ wide x 21″ long. Doll not included. Imported. 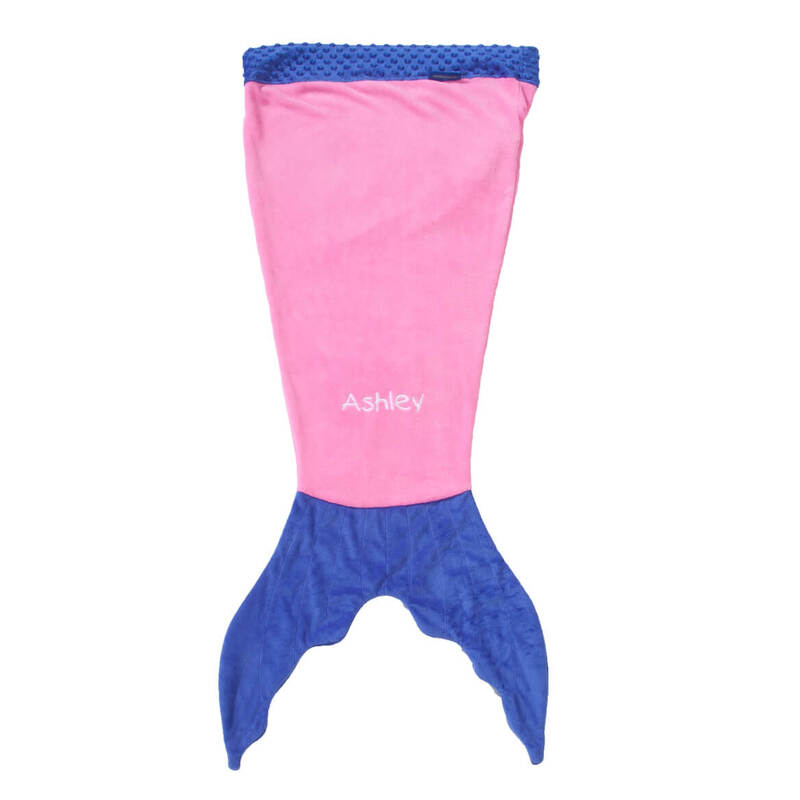 Your child will love transforming into a mermaid when she slips “feet first” into her Personalized Blankie Tails™ Kids Pink Mermaid Tail blanket—featuring a soft, sewn-on tail! Surrounding her in premium-grade, double-sided minky fabric for ultra plush comfort, the slip-in kids blanket keeps her warm and toasty, right down to her toes. Fun for lounging at home or on the go, it’s great for story time, sleepovers, movie nights, camp-outs, car trips and relaxing with the family. We’ll personalize for your favorite mermaid, creating a custom gift! Specify name; limit 1 line, 10 letters/spaces. 100% polyester; machine wash. One size fits most children up to age 12 and up to 5 feet tall; measures 24″ wide x 56″ high. Imported.u003cbru003eu003cbru003e u003cbu003eWarningu003c/bu003e – Tripping or slipping hazard: Product is intended for use only while sitting or lying down. Wearing this product while standing or walking may result in injury caused by slipping/falling. Your child will love curling up like a cozy sea goddess in her own personalized Blankie Tails—the original mermaid blanket with a sweet, sewn-on tail she can slip her feet into! 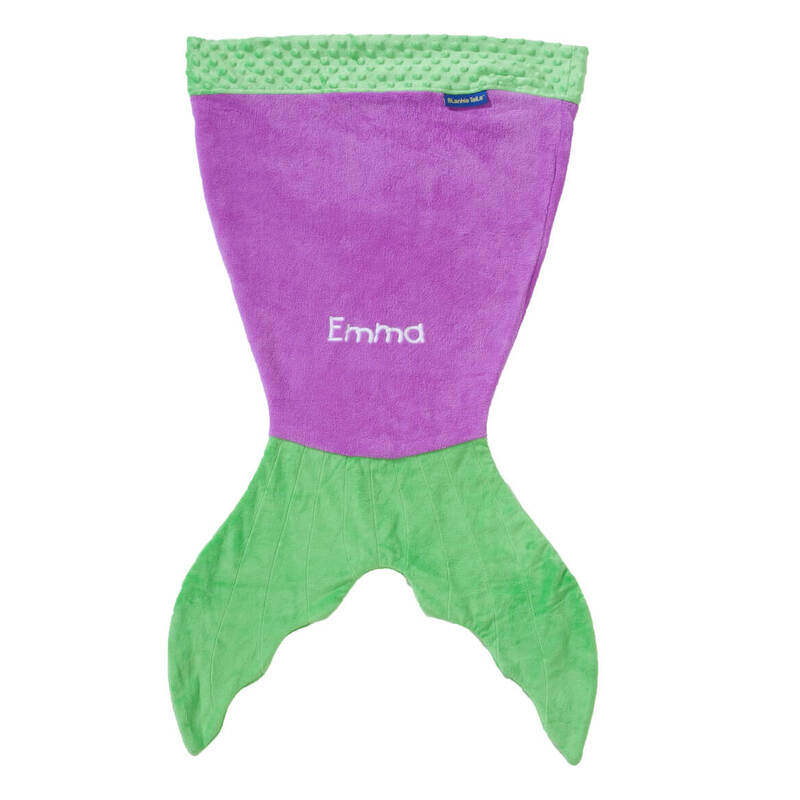 Designed in premium-grade, double-sided minky fabric for ultra plush comfort, the slip-in Personalized Blankie Tails™ Kids Purple Mermaid Tail completely surrounds kids in soft comfort, keeping her warm and toasty, right down to her toes. Perfect for home or on the go, it’s great for story time, sleepovers, movie nights, camp-outs, car trips and lounging with the family. We’ll personalize for one lucky mermaid, adding to the fun! Specify name; limit 1 line, 10 letters/spaces. 100% polyester; machine wash. One size fits most children up to age 12 and up to 5 feet tall; kids blanket measures 24″ wide x 56″ high. Imported. u003cbru003eu003cbru003e u003cbu003eWarningu003c/bu003e – Tripping or slipping hazard: Product is intended for use only while sitting or lying down. Wearing this product while standing or walking may result in injury caused by slipping/falling. This personalized gift is a classic kids love! A pink or blue personalized kids piggy bank is made of genuine ceramic, with felt on each foot to protect table or dresser tops. No need to break open this personalized piggy bank for kids – it features a rubber stopper underneath. We’ll personalize. 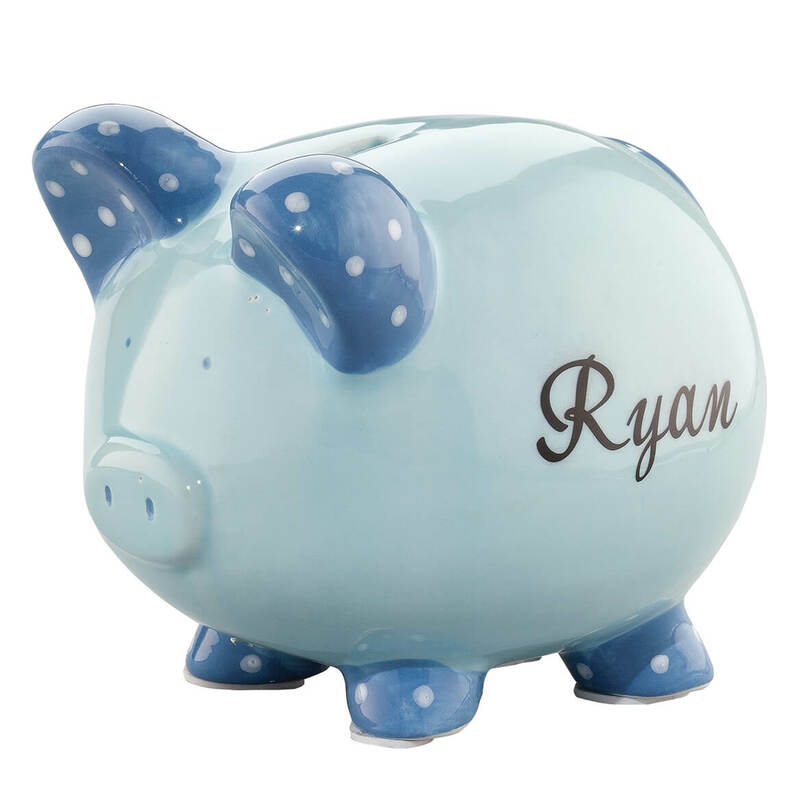 Specify name; limit 1 line, 12 letters/spaces for each personalized ceramic piggy bank. Our personalized piggy bank measures 6 1/2 ” long x 5 1/2″ wide x 6″ high. 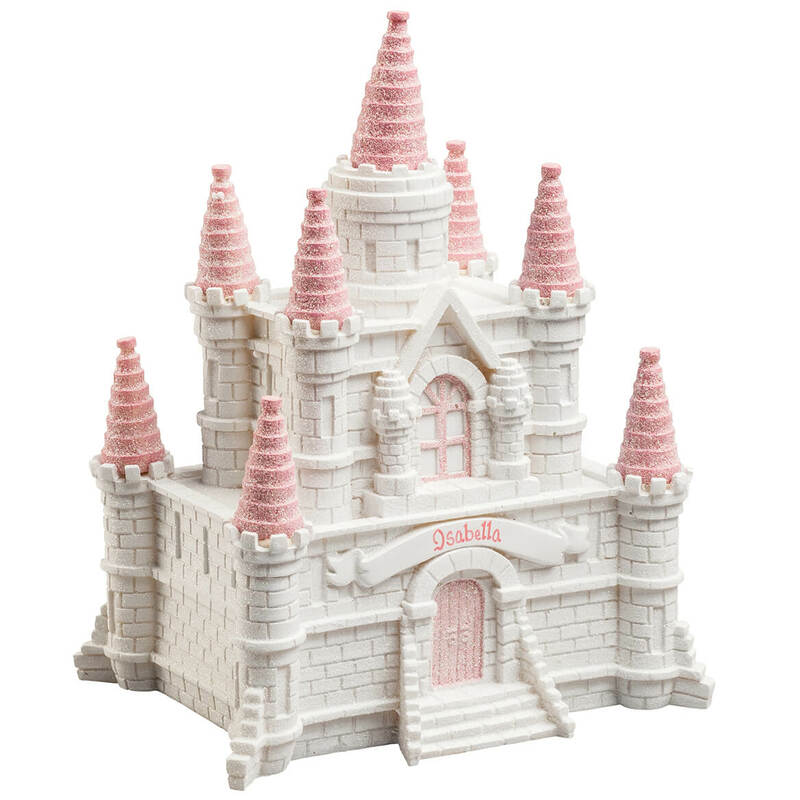 Your little princess can store a wealth of royal riches in this Personalized Princess Castle Bank … and we’ll add “her majesty’s” name for a sweet, special touch! Adorably crafted of resin with sparkling glitter finish, the pretty brick piggy bank boasts towering pink turrets, and is detailed all around—including a wide coin slot for deposits and rubber stopper on bottom for withdrawals. Rubber pads on bottom help protect furniture surfaces. We’ll personalize for your little princess, creating a keepsake gift she’ll treasure! Specify name; limit 1 line, 12 letters/spaces. 7 1/2″ wide x 10 1/4″ high x 5 1/4″ design. 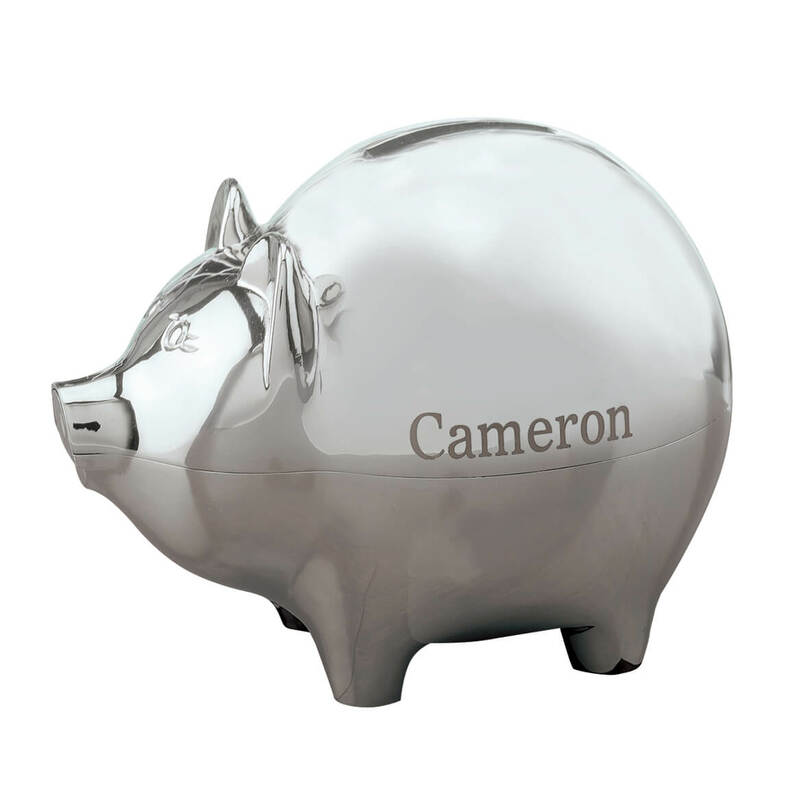 This Personalized Silver Plated Piggy Bank is a fun gift for savers of all ages … earning extra “interest” when personalized! A great way to help encourage saving, the stylish piggy bank of crafted of nickel-plated steel and has a highly polished, mirror-like finish. Beautifully designed with a cute face and engraved eyelashes, our piggy’s extra-wide 1/4″L slot makes depositing coins easy, while slotted metal bottom plug assures quick withdrawals when needed. We’ll engrave with one special name, creating a keepsake gift for holidays, birthdays, baptisms or any occasion. Specify name; limit 1 line, 12 letters/spaces. 5″ wide x 4 1/4″ high x 3 1/2″ deep. Floating far above earth in planetary motion, this spacewalker’s journey is bold and bright, thanks to dazzling stars with real flashing light! We’ve built a little magic into our exclusive personalized lighted Astronaut LED canvas, courtesy of bright white LED bulbs. Cord-free for easy display, the lighted canvas uses 2 AA batteries (not included). Side on/off “control panel” switch lets you activate without removing canvas from the wall. 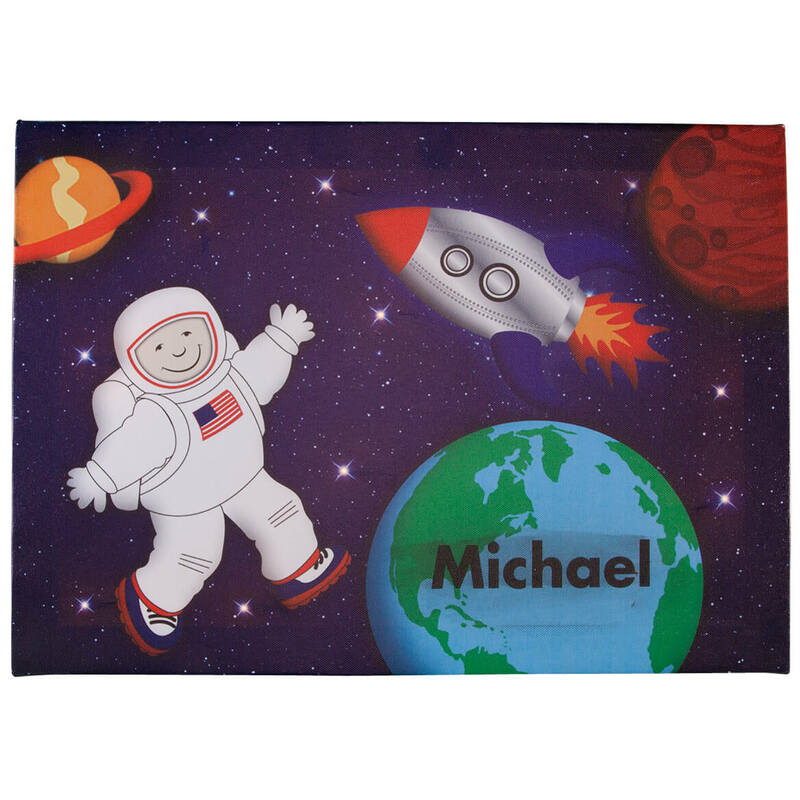 We’ll personalize for your favorite future astronaut, creating a keepsake gift. Specify name; limit 1 line, 12 letters/spaces. Includes sawtooth hanging hooks. Personalized canvas measures 17″ long x 11″ wide.